Sho Baraka, V.Rose ft KJ-52, Capital Kings, Selah Tha Corner, K-Drama and more. Join us for a journey through Christian hip hop and R&B that will encourage, inspire, and challenge you to be Kingdom Minded. 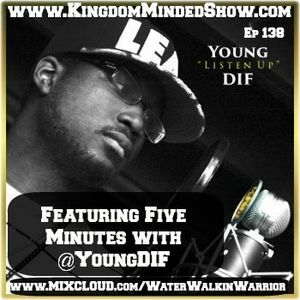 This week we feature an interview with Young DIF, a mix by DJ Tranzformed, and a freestyle by Millionaire.